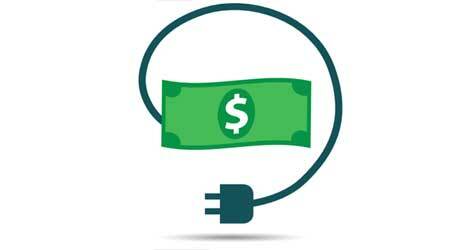 Several best practices can help facilities managers achieve savings with an EIS. • Installing submetering, beyond the whole-building level. • Monitoring peak loads and managing demand charges. • Regular use to accrue and deepen savings over time. In the end, the success or failure of an EIS depends on how well the end user knows and understands the application’s capabilities, according to Wilson. “Identifying a champion within the organization to become an EIS guru will help maximize its capabilities and ensure that the data becomes actionable, providing value over time,” Wilson says. Audin stresses that today’s EIS is well beyond its initial spreadsheet beginnings. The technology has matured over decades of use. The marketplace is filled with hundreds of EIS technology providers. While there are some commercial EIS software solutions priced lower, Audin believes a good EIS will cost about $10,000 or more and thinks EIS should be considered for any facility manager responsible for $1 million or more in utility costs annually. As with most building products, experts stress the importance of due diligence before a purchase is made. In the end, facility managers may need to decide if they can effectively operate and use an EIS or whether they are better off hiring a service that might cost ten times as much for their real-time energy management.